I went back to the little email from Dr. Anderson and while I was disappointed in my first attempt I wanted to try again. In looking at the list I felt something tug at me and noticed that I was unable to get past Samuel Whittle. No matter how many times I looked at this little email, the name Samuel Whittle called to me. 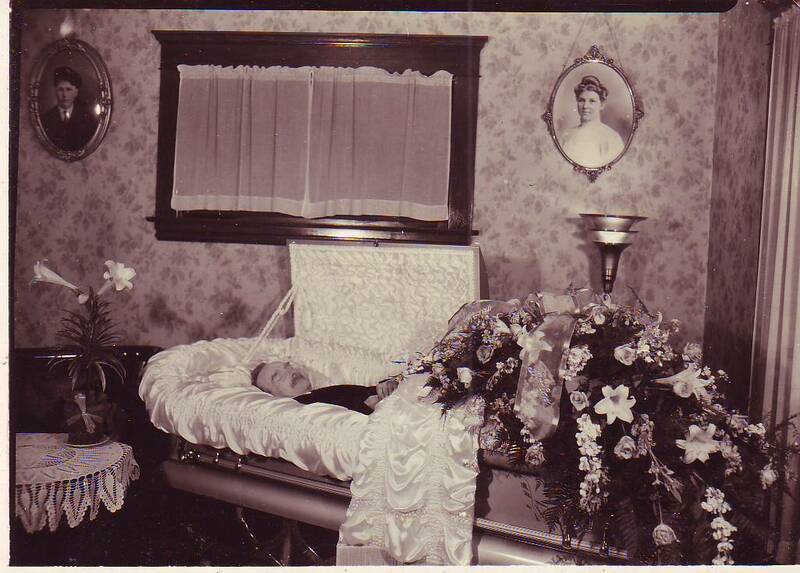 So I decided to go with my gut and I made my choice; Samuel Whittle, buried in Govanstown Cemetery in Baltimore, Maryland, with a death date prior to 1917 would be the Cold Case that I documented start to finish. Everyone searches in different ways. My first stop was a search for an obituary or funeral notice that might have the name of Govanstown in it. 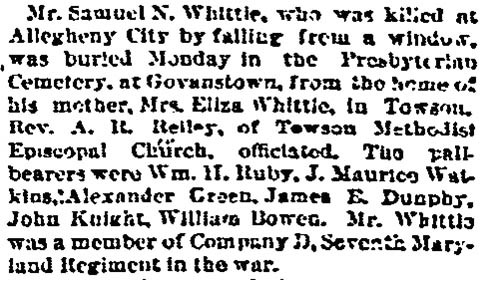 There might be a dozen Samuel Whittles that lived and died over the years in Baltimore, however, I’m only interested in the ones that were buried in Govanstown. I had been unable to tie the Moses family to Govanstown by any solid documentation and was only able to give Dr. Anderson my best guesses. I wanted and needed to do better. My first questions were hardly genealogical – how did he fall out of a window? Followed promptly by – why was he in Allegheny City, Pennsylvania? Was he pushed out of the window? Whoa Sharon, way too many hours watching the “First 48” and Columbo! The search for Whittle did not turn up this funeral notice and there could be any one of a number of reasons for it. The scanning software for newspapers is often at a disadvantage for old newspapers with blurred print,creases, and stray ink marks. This is the kind of name where the software could have real issues – it will be wise to search Whittle, Whiffle, Whittie, Whittley, Wibble and any other number of combinations. Okay folks, here is the “er duh!” moment of the day. Arwen was reviewing my post for me, because I’m new to posting on a website, and pointed out the obvious. It’s a blurry scan and the time is 3 pm. As Arwen rightfully pointed out to me, the 8 listed in her age is larger at the bottom, and the 3 on the line below has the same “weight” on the top and bottom. Of course this did not happen until I had gone off a tangent about what an unusual time for a funeral. How 8 pm seems a little late and how Daylight Savings did not come into effect until 1907, so on 15 Sep 1896 it would have been dark (or near dark) by 8 pm. It seemed odd to me that they would have been taking a body to the cemetery at night. I even checked the weather conditions to see if it was rainy and clearing later in the day. It was forecast to be clear and sunny but not too warm. I even wandered about in a discussion about having a funeral on Sunday, including information about ice not being available for purchase on Sunday’s and a dozen other things. The bottom line – it’s a three and I’m laughing at myself while being more than a little red faced. It’s called, “Look for the obvious”!!!!! Check out this Official GenealogyBank Blog entry.